One of my first and most vivid memories of a bank is going into the vault with my grandfather. I have no idea why my grandfather was going to the vault or what was kept in the safe deposit box he opened…but the grand procedure surrounding the event was amazing to a young girl. The security guard opened the vault by twisting the large handle after inputting specific numbers. The banker went inside and brought out a tin box which he set on a table outside the door of the vault for my grandfather to open. My grandfather had a little key and a code and the banker had a key. Mind you, my family consisted of primarily of blue collar workers so just being around the banker in his suit and tie was intimidating to me. My grandfather showed the banker his driver’s license (paper at that time with no photo) and together they opened the box. Grandpa leafed through the papers, pulled out a document and showed it to the banker. Together they locked the box up and the banker returned it to vault. As the security guard closed the vault door and spun the handle, the banker walked us to the door of the bank. Today, according to Spectrem research, only 34 percent of investors have a safe deposit box at a bank. The likelihood of having a safe deposit box at the bank increases with both wealth and age. In fact, some of the wealthiest households have their own vault at the bank not just a safe deposit box! Twenty-one percent of those with $10 to $25 million have their own vault. So how do investors protect important papers, bonds or expensive jewelry or other items? Almost half (46 percent) of investors have a safe at home. Likelihood of having a safe at home varies little except that the wealthiest investors are somewhat less likely to have a safe at home. 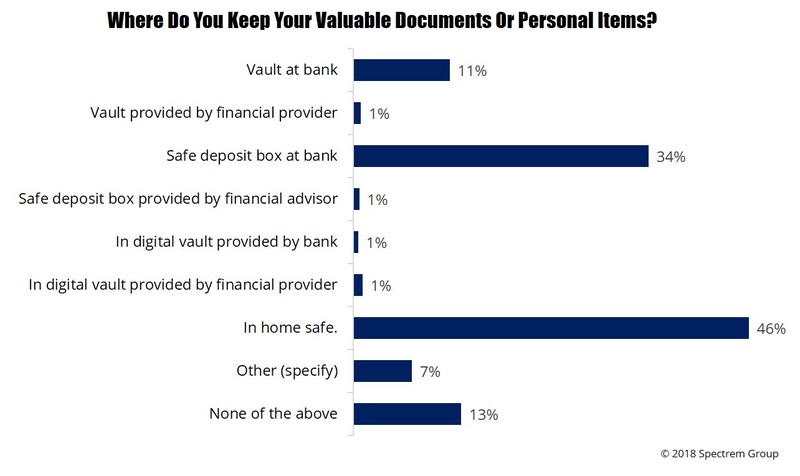 Currently, investors have little interest in a “digital” vault to protect their important documents. On a scale of 0 to 100 with 100 indicating “significant interest” and 0 showing “no interest” in a digital vault, investors rated the idea at 33.58. It’s interesting to note that there was little difference in interest levels based on age or wealth. So how or where do investors store valuable items? What is actually in their safe or safe deposit box? Eleven percent store jewelry in a safe deposit box while 31 percent store jewelry in their home safe. Only 2 percent have a vault. Ten percent store precious metals in a safe deposit box while the same percentage store their gold in their home safe. Art and antiques are generally stored in a home safe. Half (49 percent) of investors store their will in their home safe while 29 percent store it in a safe deposit box at a bank. Deeds, titles, and insurance papers are stored in the home safe by 44 percent of investors and in a safe deposit box at the bank by 31 percent of investors. Twelve percent store stock certificates in their home safe and 12 percent store savings bonds in there as well. Five percent store treasury certificates in the home safe. 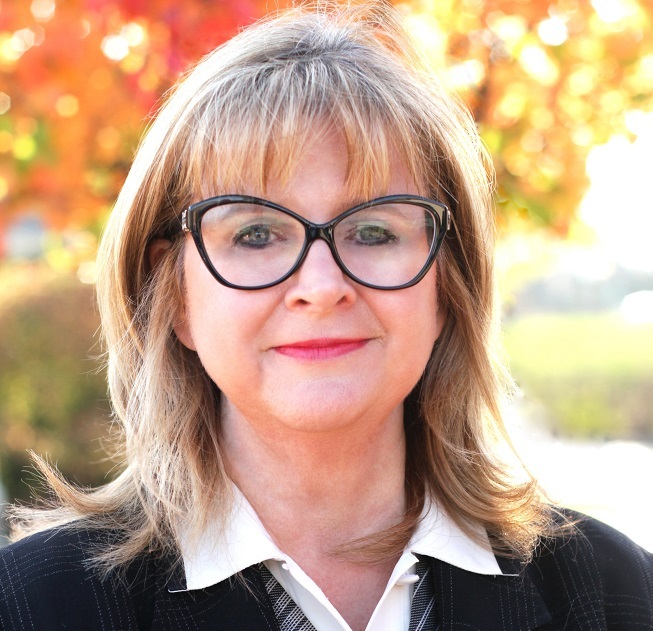 But 12 percent store stock certificates in a bank safe deposit box along with 14 percent who store savings bonds and 6 percent who store treasury certificates at the bank. The storage of significant documents is generally not discussed with a financial advisor but maybe it should be. As digital safes become more common, it makes sense that an advisor is able to provide a portal with all of the important documents easily available. Clearly this is not common today, but is something advisors should discuss with investors in the future. Only 8 percent of investors have discussed this idea with their advisor. Maybe it’s time to create a new service for your clients?